Leading-edge software requires top-notch support, and we’re ready to help whenever you need it. The Help Desk Team has over 50 years of experience in the industry helping customers with their problems. We have set up a number of platforms available to meet your support needs. 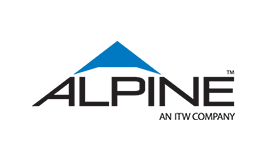 Call (866) 237-2878, email us at helpdesk@alpineitw.com, get your On-line Sitekeys: www.itwbcgsitekeys.com or check out our knowledgebase. We are passionate about ensuring our customers get the help they need in a timely manner. How can we help you today?